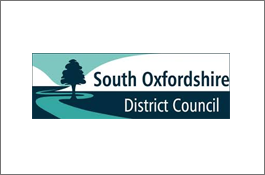 Originally trialed as a method of reporting election results, SMS use grew throughout South Oxfordshire Council and eventually became invaluable for keeping in touch when a fire burnt down 85% of the Council’s premises. South Oxfordshire District Council is based just outside Wallingford in Oxfordshire. The district was formed in 1974 from an amalgamation of boroughs, including the municipal boroughs of Henley-on-Thames and Wallingford and Thames Urban District. The council wanted to make it easier for people to get in touch with them, to report things like fly tipping and vandalism. They also wanted to implement an outbound communication method which would enable them to easily notify local residents about issues which might affect them, such as planning alerts or rubbish collection information. They concluded that text messaging is often the chosen method of communication for many people; it is quick, cost effective, discreet and instant, plus it also meets regulatory compliance initiatives. People will happily send a text, but they might not bother to take the time to telephone the Council to report issues, so texting was identified as the way forward. Simon Turner, ICT Manager at South Oxfordshire District Council took ownership of the challenge. He needed to find an SMS solution and then a project within the Council which would be suitable to run as a fixed trial. It was decided that the imminent local elections could provide an ideal way of testing the implementation. The proposal, which was aimed to engage voters and reverse the often apathetic interest in the subject, was to deliver election results by text, directly to the mobile phones of voters who chose to subscribe to the service via the Council’s website. The project was publicised by a poster campaign and on the Council’s website. The process was easy – to register, users simply text the word ELECTIONS, followed by a space and the number of the ward they would like results for to a dedicated number (the ID numbers of wards were listed on the website). Subscribers were able to sign up to receive results for as many wards as they wanted, but needed to send separate texts for each ward, or they could elect to receive the results for all wards by texting an alternative number. Simon comments that given the very short lead time, they were very encouraged with the take-up and the trial was voted a success, which paved the way for the further use of SMS across the organisation – Text messages are now used to keep in touch with subscribed residents, notifying them about a wide range of Council service updates and changes. When an after-hours arson attack resulted in the devastation of 85% of the Council’s premises and the communication systems and servers went up in smoke, managers relied on ProcessFlows text messaging to relay updates to staff. Having used their SMS solution for a number of years, the council had created and saved several contact lists. Some of these are call-out lists which form part of their emergency planning policy procedures, held by authorised personnel in off-site locations, as well as on in-house servers. With communications systems down and the in-house Text Message Server destroyed, the Council contacted ProcessFlows to help establish text communications with over 400 employees. ProcessFlows services support team populated their SMS Cloud platform, 123-txt, with the Council’s supplied contact distribution list. Reply numbers were set up so employees could respond and communicate with their managers. The Council was then given an account on the Cloud text portal so they could continue to broadcast messages and maintain bi-directional communication for as long as they needed.